The ideal choice during your visit to Azerbaijan will be droping by a Azerbaijan Swimming Pool. 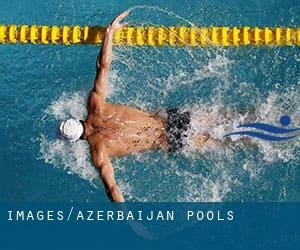 Regular users of the following Azerbaijan Pools told us one of the most important thing about swimming is usually to control your breathing. From time to time this is not possible simply because we raise the neck to breathe along with the body is just not aligned. To avoid this, our head should be aligned with our spine all the time. Swimia.com requirements your feedback on Aquagym in Azerbaijan to ensure all of the data about swimming in Azerbaijan is valid. 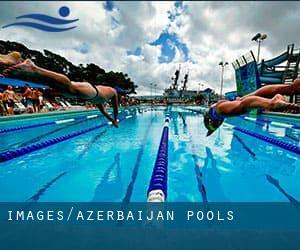 Before trying any pool, make sure you know the rules and regulations for Azerbaijan Pools as they may not be precisely the same as in your residence town. We advocate you contact the pool directly to ask when you will need a hat, and what kind of footwear or distinct clothing you will need. We probably do not know all of the Pools in Azerbaijan. Are you missing any? Contact us!. For Azerbaijan and its vicinity, we're showing you all the registered pools, some of them have no GPS coordinates and can't be found on the map at the map. Enjoy the best indoor pools in Azerbaijan and don't worry about the weather. These facilities are open all seasons and you can enjoy a swim at the same temperature every day of the year. There are several factors why you must choose a heated swimming pool in Azerbaijan. One of the most critical one relies on the significance of keeping the body temperature stable. If the water is too cold, your body will try to warm it up and you will shed strength to swim properly. Whereas Şirvan is one of the six most populous cities in Azerbaijan with nearly 70.220 residents, you shouldn't miss that one if you're going to Azerbaijan. It's difficult to visit Azerbaijan without dropping by Ganja (with 303.268 residents). Currently Swimia is showing you all the Swimming Pool in Ganja and the closest pools situated in its vicinity. Holding an estimated population of 95.453, Mingachevir is one of the most important cities in Azerbaijan. Check all the Swimming Pool in Mingachevir and its surrounding area. Swimming is really a exceptional idea to keep your body active during your visit to Sumqayit (Azerbaijan), or even if you are a local. Swimia assists you to find your closest Swimming Pool in Sumqayit. Without a shadow of a doubt, swimming in Qaraçuxur could be the best method to unwind soon after work. Take a couple of minutes to browse Swimia's catalog to find a Pool in Qaraçuxur. Let us tell you a secret to switch off when you happen to be in Baku: just decide on a Pool in Baku and plunge into the water! There's no alot more beneficial technique. 4 Perevalnaya Street , Baku (Postal Code: 370108). Among all of the activities offered by the center, if you are enthusiastic about swimming you will take pleasure in 25 meters, Indoors. Just in case you desire to contact this Swimming Pool before dropping by, we only know the phone number. 25 Nobel Avenue , Baku (Postal Code: 370026). Among all the activities offered by the center, for anyone who is keen on swimming you will appreciate 25 meters, Indoors. Just in case you want to contact this Swimming Pool before dropping by, we only know the phone number. 6 Olimpia St. , Baku (Postal Code: 370072). Among all the activities offered by the center, should you be enthusiastic about swimming you will enjoy 25 meters, 5 lanes, Indoors. Just in case you wish to contact this Swimming Pool prior to dropping by, we only know the phone number. 69a Matbuat Avenue , Baku (Postal Code: 370027). Among all of the activities offered by the center, if you are interested in swimming you may enjoy 25 meters, Indoors. Just in case you desire to contact this Swimming Pool before dropping by, we only know the phone number. Updated on 2019 26 Abilov , Baku (Postal Code: Unknown). This sports center offers 25 meters, Indoors. For this Pool, only phone number is number here. 58 Moscow Avenue , Baku (Postal Code: 370033). Swimmers like you reported 25 meters, Indoors. Unfortunately we do not have the email address of this Swimming Pool, but we can give you the phone number. Ataturk Avenue Block 1222 , Baku (Postal Code: 370029). Swimmers like you reported 25 meters, Indoors. Unfortunately we do not have the e-mail address of this Pool, but we can provide you with the phone number. 1033 Izmir Street , Baku (Postal Code: 370000). Swimmers like you reported 25 meters, 1.6 meters depth, 1.6 meters depth, Indoors. Phone number and e-mail address are number for this Pool. 2 Narimanov Avenue , Baku (Postal Code: 370148). Among all the activities provided by the center, should you be keen on swimming you may get pleasure from Olympic size, Indoors. Just in case you desire to contact this Pool before dropping by, we only know the phone number.